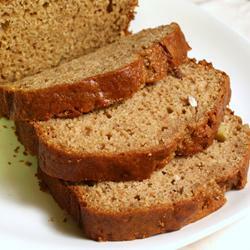 All of the following recipes are made with at least one Bayfield Apple Company product. Keep reading for some DELICIOUS ideas! This is a recipe we have received from one of our loyal customers. Just be sure to make it with our Apple Butter! When this customer tried a different brand, "it just didn't taste the same." A delicious savory recipe! 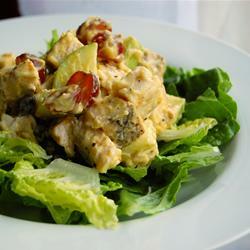 Combine all ingredients and toss together on a bed of lettuce. Enjoy! This quick bread is made with our yummy Apple Butter...and is best when topped with our Apple Butter - you can never go wrong with a double-dose of apples! In a large bowl, combine Apple Butter, sugar, oil, eggs and milk. In a medium bowl, combine flour, baking soda, baking powder, cinnamon, allspice and salt. Combine flour mixture gradually with Apple Butter mixture. Stir well. Fold in pecans. Pour batter into greased 9x5 inch loaf pan. Bake at 350 degrees for 60 minutes, or until a toothpick inserted in the center of bread comes out clean. This coffee cake is perfect for weekend brunch. 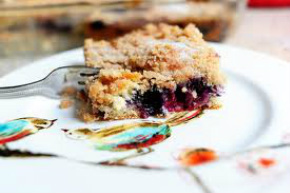 The middle of the cake features our Blueberry Jam, a taste of our orchard in every bite! In medium bowl, combine flour, sugar, baking powder, salt and allspice. Add butter, egg and milk. Mix until well blended. Pour half of batter in greased 8-inch square pan. Spread Blueberry Jam evenly over batter. Top with remaining batter. Combine ingredients for topping, mix until topping resembles coarse crumbs. Sprinkle topping over the top of coffee cake, in pan. Bake at 400 degrees for 20 to 25 minutes, or until toothpick inserted in the center of cake comes out clean. 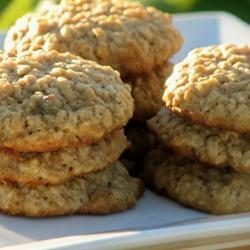 These spiced oatmeal cookies are a delicious treat! Our Apple Butter is once again on display to make these cookies chewy and moist. In a medium bowl, combine oats, flour, baking powder, baking soda, salt and cinnamon. In a large bowl, combine sugars with an electric mixer. Cream butter into sugar mixture. Add egg and Apple Butter to sugar mixture until smooth. Add flour mixture gradually. Fold in chocolate chips and walnuts. Drop cookie dough by tablespoons onto lightly greased cookie sheets, two inches apart. Bake at 375 degrees for 12-14 minutes.